Cohesity Powered partners differentiate customer experiences and their own businesses, speeding time to market and reducing TCO. Earn the Cohesity Powered trust mark and give your customers confidence in your secondary data and apps services. Learn what Cohesity Powered means to your customers. Host new, multi-tenant or single-tenant services on your customers’ premises, in a colocation facility, your data center, or on leading public clouds. Deploy on your choice of Cohesity, Cisco, HPE, or Dell servers/appliances. Build profitable, as-a-service secondary data and apps differentiation across clouds at lower costs. Scale as you grow and your customers consume. Eliminate specialty silos. Gain consistent infrastructure and operations while securely hosting tenants at scale. Jumpstart service delivery with Cohesity—VMware vCloud Director integration. Cohesity is 100% partner focused. Join the Cohesity Partner Program for Service Providers to boost your customer satisfaction and your business agility by simplifying secondary data and app management. Lower operational and management costs with a single, validated, software-defined platform for a variety of use cases including backup, files and objects, test/dev, and analytics. Expand easily and without disruption as you acquire more customers with Cohesity pay-as-you-grow model. 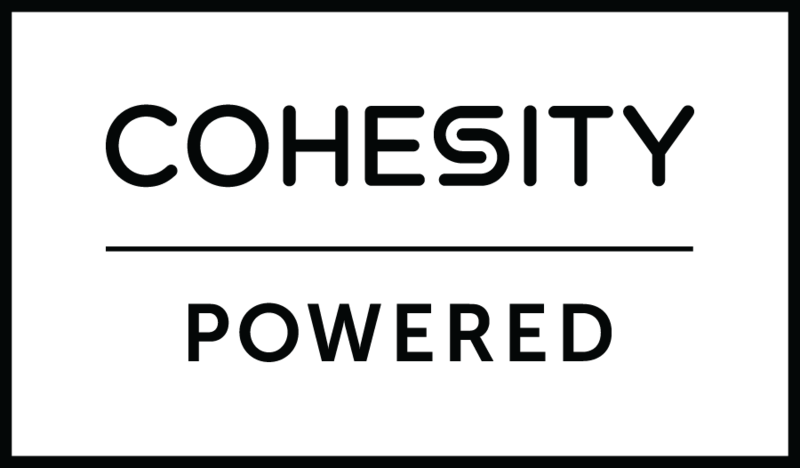 Pay for what you consume—no minimum requirements—with Cohesity pay-as-you-go model. Team with Cohesity on business alignment and fit, jointly building a plan for success. Benefit from co-design workshops, cloud-ready testing, training programs, premier technical support, and more. Take advantage of available collaboration and reference architectures for Cohesity Powered services and leading hyperscalers. Take advantage of support and dual compensation, proposal-based marketing and business development funds, and co-marketing and campaign support. Cloud services provider with public, private, and hybrid options to drive business transformation. Data Protection for Hosted Private Cloud with Cohesity. IaaS, with services such as backup, storage, and cloud security, to build the perfect cloud. Cohesity managed backup and disaster recovery as-a-service on a multi-cloud platform. Enterprise-grade solutions across Cloud, Data Center, On-Premise, and Network technologies. Canada’s only wholesale IaaS provider with compelling outcomes. ISO 27001 certified secure cloud, cybersecurity, compliance, BC/DR, and managed IT. Guaranteed backups and proven business continuity solutions. Enterprise cloud gateway service provider with a full range of Cohesity managed services.